between the ancient villages of Purse Caundle and Stourton Caundle. until you see a right hand turning (a red brick house with blue windows on the corner) which is Rue Lane. and the farm entrance will be on your left. From Sturminster Newton direction take the road sign posted to Stourton Caundle off A357. Ignore the first two signs to Stourton Caundle and when you reach a cross roads go straight over, this will be signposted to Goat Hill. just around the bend after the white gates to Woodrow House. and turn into the courtyard. There is plenty of parking as well as loo facilities. two steps leading into main hall. The Barn sits to the south of Woodrow House on Woodrow Farm just north of the village of Stourton Caundle and is accessed via the farm driveway. 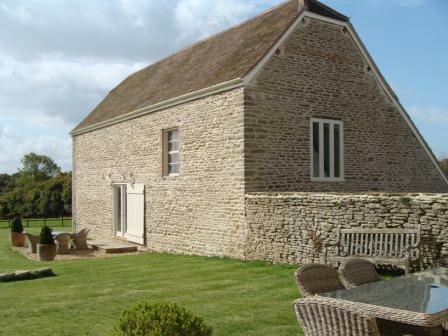 The farm house and outbuildings were built in approximately 1750. 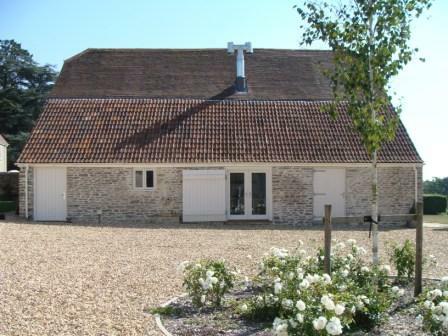 The Barn was originally a thatched threshing barn for the processing and storage of cereals. Characterised by large double doors in the centre of one side, a smaller one on the other, and storage for cereal harvest on either side. The grain was beaten from the crop by flails and then separated from the husks by winnowing between these doors. The large doors allowed for a horse wagon to be driven through and the smaller door to allow for the sorting of sheep and other stock in the spring and summer. 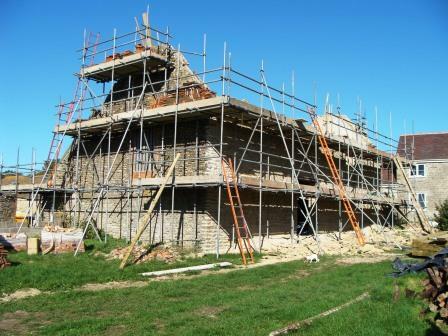 When we bought the farm in 2009 The Barn was in a neglected state with the east wall about to crumble and give way. 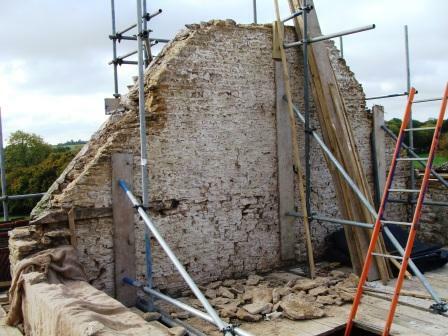 The rescue project took local workmen approximately 6 months to rebuild the wall using the original stone and replacing the roof with the orginal tiles. We saved as many of the original beams and purlins as possible as well as restore the original cobbles in the entrance hall. It was crucial to us to retain the building's historic integrity.